East London Business Place (ELBP) was delighted that local business entrepreneur, Ricky Kothari from T-Sticks was awarded “Business Person of the Year”. East London Business Place has worked with Ricky for a number of years and through various Business Support Programmes. Ricky has recently also registered on the Building Legacies programme in a bid to continue to work with the Business Growth teams at ELBP, to develop the business. Co-Founders, Ricky and Kim, have been lifelong friends. They were brought up on teas from around the world, and their parents introduced them to many types of tea from their countries of origin, specifically Indian, African and Chinese tea. Their love for a good brew however became incompatible with their on-the-go lifestyles, which often found them on the road for both work and pleasure. They started T-Sticks as an answer to this and also to the age old fight for clean teaspoons in the office kitchen. They realised that the good-old teabag just wasn’t cutting the mustard anymore, not only from a consumer perspective in the workplace and events but from the HORECA food industry side of things too. They felt that the tea market and retailer shelves was ready for a positive change: Tea in a stick which creates an even distribution of flavour with no bitterness, with the added bonus of having no drips and no spoon needed! This unique product has taken the tea industry by storm with a revolutionary T-Stick that acts as a stirrer and strainer all in one. T-Sticks were shortlisted in the ‘Best Retail’ category for Virgin StartUp and won the ‘Brand to Watch’ award at Drinkpreneur 2015. They supply hotels, restaurants and caterers. As a long-standing member of East London Business Place, T-Sticks joined their “Ready to Supply the City” (RTSTC) programme and now is now on the “Building Legacies” programme. Ricky was keen to tap into the corporate market and access City based buyers and their supply-chain partners. T-Sticks were allocated a business coach and mentor via the programme who was able to work closely with the team to help them overcome a number of key challenges the business was facing around cost reduction and production. Ricky also attended various “Meet the Buyer” networking events and round table discussions in order to gain exposure and pitch to city buyers, and as a consequence -Sticks is imminently about to secure a deal with a major global financial institution, retailers within city premises and a group of hoteliers. Through the ELBP’s business growth programmes Ricky was able to access support and get the introductions he needed to get in front of key corporate buyers and put T-Sticks in a more competitive position. 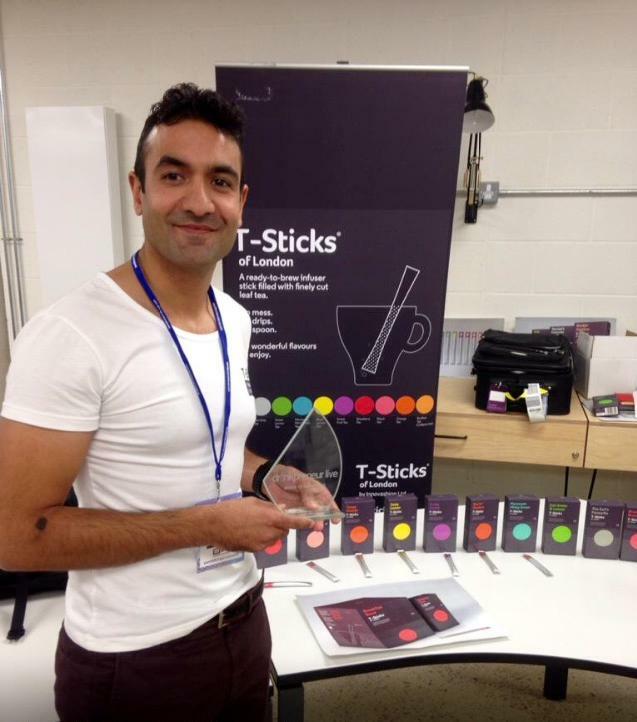 Ricky Kothari– Co-Founder of T-Sticks of London.